Scopus is an academic and paper research site comprises of papers abstracts with more than 10,000 publishers since the first launch in 2004. The abstract and citation database in the top field like life sciences, social sciences, physical sciences, and health sciences and is proudly owned by Elsevier. If you, as a science researcher needs a source to find and download research papers and journals from experts in your field, Scopus is one of the few places to search for academics and research papers. However, if you are searching for Scopus alternatives that offer similar service for free or for a token, here is a guide for you. Here in this guide, you will get to know the list of popular sites similar to Scopus to search and download research papers and journals for academic purpose. According to Elsevier, the Scopus has one of the largest databases for research papers and journal of about 1,678 publishers. Here I will talk about my favorite academic sites that offer journals and research articles and papers for researchers. Sci-hub is my first choice of a website alternative to Scopus. It’s only in a rear case that you can have a similar site to Sci-hub website. While Sci hub is not a website to download research papers, articles, and journal, it’s a website to remove barriers from online books. The barrier it removes is the lock that prompt users to pay to buy a book online. The Sci hub has suffered so much humiliation from different organizations for remove payment lock from academic books and textbook but the sci-hub is still the first of its kind to remove and download paid articles, research papers, journals, and textbooks for free. I have been using Google scholar as far back as I can remember. It’s recently that I know Scopus as a source for most research papers and journals from Elsevier. However, Google Scholar is a Google book source where everything is not for free. Some you have to make a payment to the publishers account before you can be granted a download link. While some are free to download without any requirement. This reminds me of my days in school when I was using Google Scholar and I was forced to by 15 pages of the textbook for $25. While I didn’t regret doing this, I can still get the same textbook from Sc-hub for free and without stress. 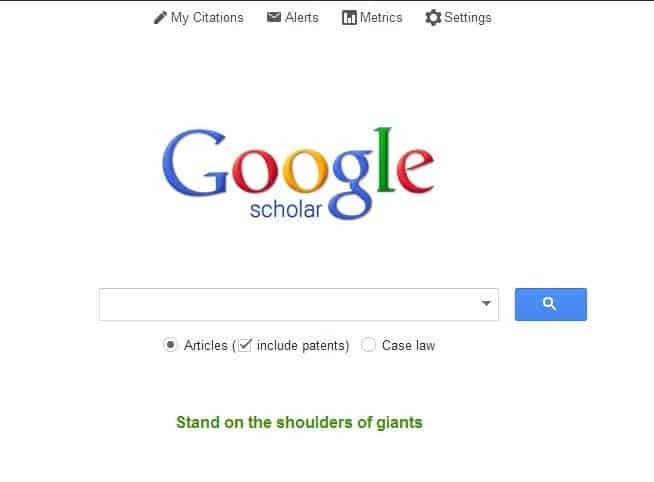 In case you want to download Google Scholar books here is a complete guide on how to download eBooks from Google Scholar. If you are a medical student I’ll recommend PubMed for you. PubMed is one of the topnotch online sources for all medical texts, publications from different authors, journals, research works, and a lot more. Scopus is also a great source for Medical practitioners to get various publications on their field of interest. However, in the case of PubMed, all is contained in is all about Medicals. To make it a must visit a health officer, PubMed is 100% free for medicine as a course and other related fields such as Biochemistry, Pharmacy, Dentist, Optometry, Biology, Philosophy, and other related fields. Elsevier is the parent owner of the Scopus journals and research books download with millions of articles, journals, research papers, and citations available for use. You can also submit your paper for publication on Elsevier if you have a finished article for publication. However, everything on Elsevier is available on for money. The Elsevier platform is totally different from other platforms to download research books, submit articles for publications, and find the list of available citations for your research paper. I am also a fan of ScienceDirect not because I am a researcher or I studied science related course. A lot of things contribute to falling in love with ScienceDirect to download journals, research papers, and articles. Not minding the fact that it’s a popular science related books site, it has over 12,000,000 research papers, journals, citations, references, books, texts, pub, and many more on it database. ScienceDirect as an alternative to Scopus doesn’t offer free membership as Sci-hub does. However, the token for a membership fee worth it as you will have access to a lot of articles, journals, research papers, hypothesis, and many more. And if you are a researcher, you will also have access to submit your article for publication by experts. While you will have to wait for the review, once the standard of the result of acceptable you will then asked to pay a token for publication which is meant for the maintenance of the website. Another site we can vouch for that is similar to Scopus for science researchers is the “Web of Science”. Just as the name sounds, the website is designed to make available on science-related articles, journals, hypothesis, citations, research papers for download. As at the time of writing this article, “web of science” has over 90 million number of records. That is a huge database. Therefore if you are searching for the best alternative for Scopus for science and social-sciences articles, “web of science” is a must see.